Yes ... reel and line good enough. I would suggest you use your existing rod and try out this first trip. If you enjoy offshore fishing then maybe can start looking for a rod to suit your needs and budget. Of course you can always get one now to try out if you don't mind spending ... it's Xmas ! Santa clause is coming ... to ... town ! Slightly more than a year since ... and this is what he caught on his first trip ! Newbies always have newbies' luck so make good use you yours and get something memorable and be hook on to offshore ... forever ! Tamban has gone on many offshore trips and even tried night fishing and had his virgin rod broken by a mama ray ! 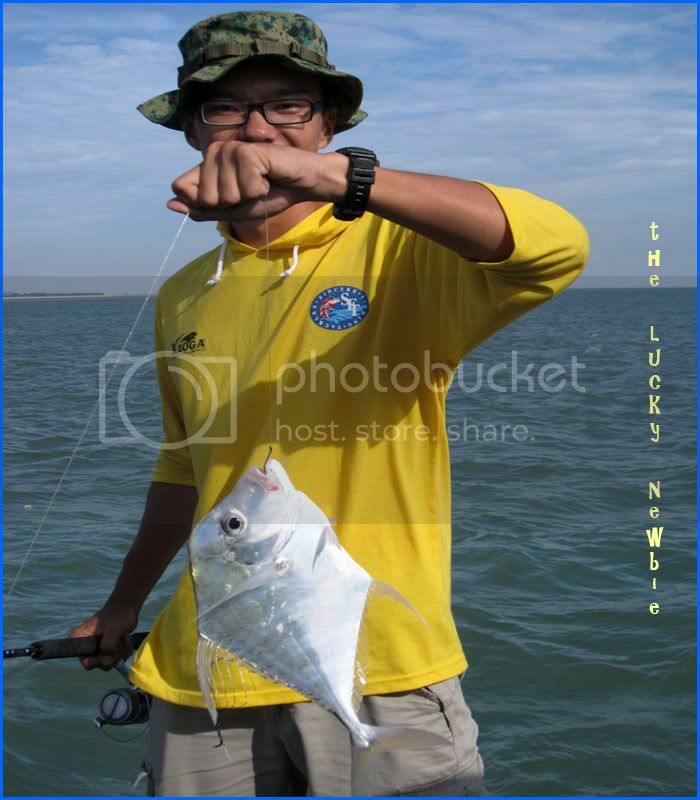 By the time you find out about his history ... he ish old bird liao ... pro angler Oready ! If there is any other thing you need help on ... just post it up here. 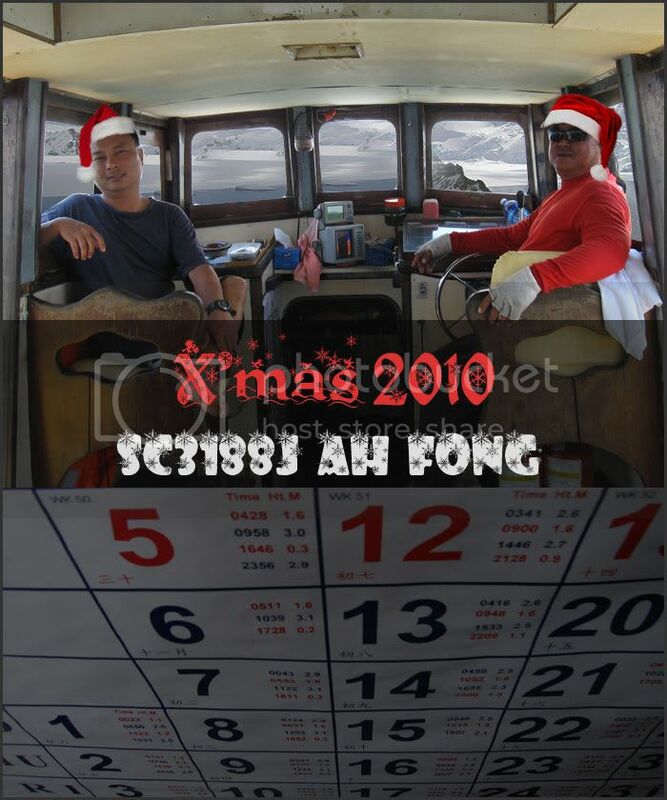 Else ... start counting down and we shall make it another happening X'mas Trip 2011 ! Every organiser is different and for me ... I go by the rule ... all pay all share to be fair. In this way ... if you catch many fishes ... good for you ... you get to bring back fish. everyone kosong or the catch that day is simply jialat ! Usually I will let the rightful angler keep their big or special catch of the day. And rest of catches regardless of landed by who and those caught by boatman will be shared among all anglers. Hope you are ok with this arrangement. Of course you can always tell me about it via a pm if you want op out of this arrangement. We are flexible ... no hard and fast rule, just want a fun day out with kakis. Bring a thick plastic bag and some newspaper to double wrap the fish. If we hit frenzy ... then is ho seh liao ... it's time to party party party ! If get a lot then everybody will hv lots of lunch and dinner for the next few days if dont then we bite finger(gigit jari) ahr..